I own this lens and use it mainly on a Nikon D3 for stage photography wide open from a monopod, where it performs really good. AF is fast and accurate, Images are very sharp at f 2.8 , and the build quality is excellent. Also the results with the TC-300 (same optics like TC-301 as far as I know) are very good. But ofcourse, you loose AF then. Awesome lens! Quite sharp at F2.8 (subject must be close ~7-30ft) and really sharp at F4. I needed to adjust the AF Fine Tuning for the lens but that is more of a camera issue. Autofocus is not super fast but fast enough for my needs (compared to the AF-I and AF-S versions, this lens’ autofocus will “never” break since the camera uses the screw drive motor to engage the focus on the lens). Build quality is absolutely fabulous (all metal). Thank you Arne List for your post regarding Nikon 300mm f2.8 , where you state that a. f. is fast and accurate . But one question ; a certain mr Ken R. who runs an internet photography column state that a.f. is slow . So what is your definition of ” fast and accurate ” ? 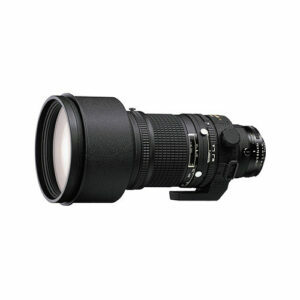 I own this great and awesome lens and use it with a D3s, D4, and D4s. The lens’ main use is for portraiture with a little sports and birds/wild life in the mix. The boken at f/2.8 is “what dreams are made of” with the contrast being a little soft. Contrast is very good once at f/4 and my copy has maximum sharpness and contrast at f/5.6. Very usable to f/8 with diffraction starting after this. This lens lives between f/2.8 and f/4 with an occasional excursion to f/5.6 for head-shots under 18 feet away. I have taken many portraits with this lens with no post beside color balancing (gray card) as the “look” it provides is amazing. AF is extremely accurate and has reasonable speed, not fast like an AF-S but fast enough to focus follow horses coming down the home stretch. With the D4 and especially the D4s, the lens can follow a subject through various movement but it does not jump between various focus distances easily. This lens is quite heavy. I use a monopod most of the time and sometime a tripod. I can hand-hold this lens for a short time if necessary and my limit is about 5 minutes with a maximum of 10 minutes (I am in my 60s). The camera shake after hand-holding this lens for 5 minutes is a sight to see. All-in-all, the Nikon AF 300mm f/2.8 IF-ED was and still is, a great lens.